It started with the heavy rains on Christmas evening, December 25, 2015 in the St. Louis area. It was raining so hard that it was hard to see when my wife and I were driving home from my parents’ house to stay with my in-laws’ that night. I remember driving slow and griping the steering wheel hard. It gritted my teeth hoping with the poor visibility. My concern was not sliding off the very wet pavement or an accident with another car. It was not easy navigating the pounding rain on the while driving on interstates I-270 and Highway 40/west I-64. December 26th, was more pounding rain. Early that week, I expressed my internal frustration to Tanya that I felt like I was not doing enough to organize and write on climate change. 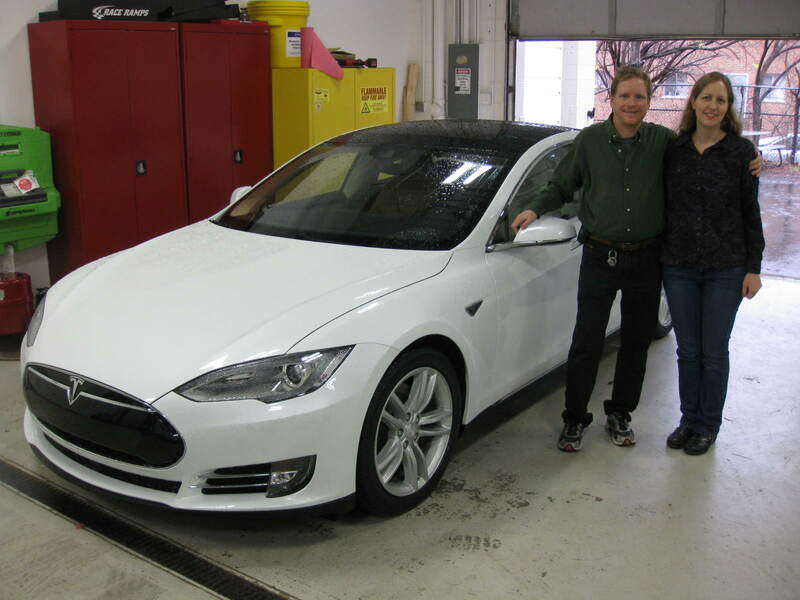 To boost my morale, my wife then booked an appointment with the nearby Tesla store to test drive the 100% electric Tesla Model S. As I noted in my previous blog, Tanya and I had a blast test driving this car. Tanya’s action did lift my spirits to see this could be the future for automobiles: 100% electric with no carbon tailpipe emissions. While that Tesla test drive was a fun bonding experience for Tanya and me, the weather was blah. It continued to rain all morning from the previous night. The rain did not pound during our test drive, thankfully. However, the pounding came back that Saturday afternoon, all day Sunday, and into Monday. It rained so hard it felt like someone had fully opened a water spigot on full blast for hours. As a native life-long St. Louis resident, I started commenting to my wife and in-laws that we are going to see some bad flooding from this. I had no idea just how bad the flooding was going to be. I remember that I kept checking the weather report to see when it would stop raining because it was starting to feel like the relentless pounding of bombings in a war zone. The endless rain felt very wearisome. It was hard to sleep through it and no joy to go walking in it. Finally, the rain did end on Tuesday, December 29, 2015. It was such a relief to see overcast skies without rain. However, the rain gauge reports looked grim. 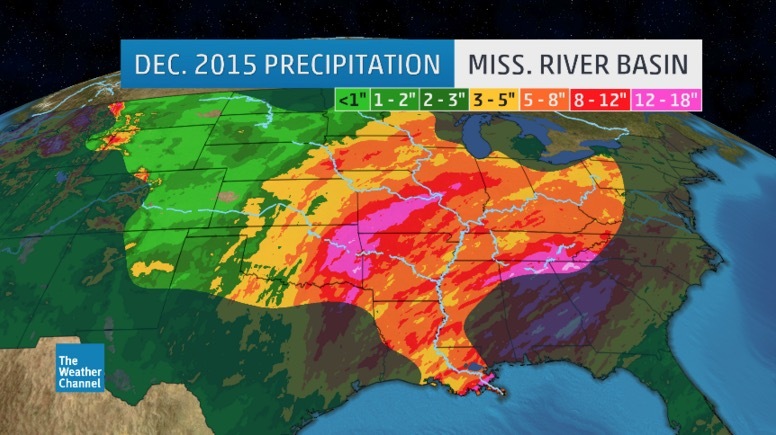 The St. Louis region received anywhere from 8 to 12 inches of rain. This would be far more than the major area rivers, Mississippi, Missouri and Meramec, could hold in their flood banks, warned local meteorologists. Let’s be clear. 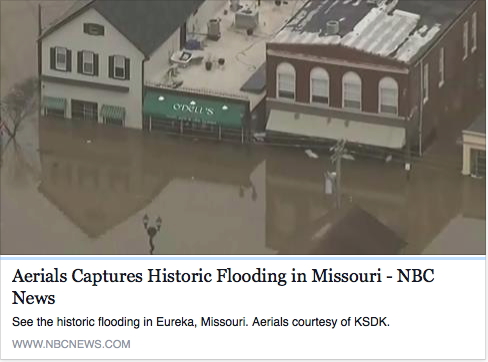 Climate change did not cause the heavy rains and floods in Missouri. Climate scientists and meteorologists will tell you that climate change makes extreme weather worst and more common. What is this “new state” that the climate has shifted? All three factors combine to create Wetter Rains, Drier Droughts and Stormier Storms. 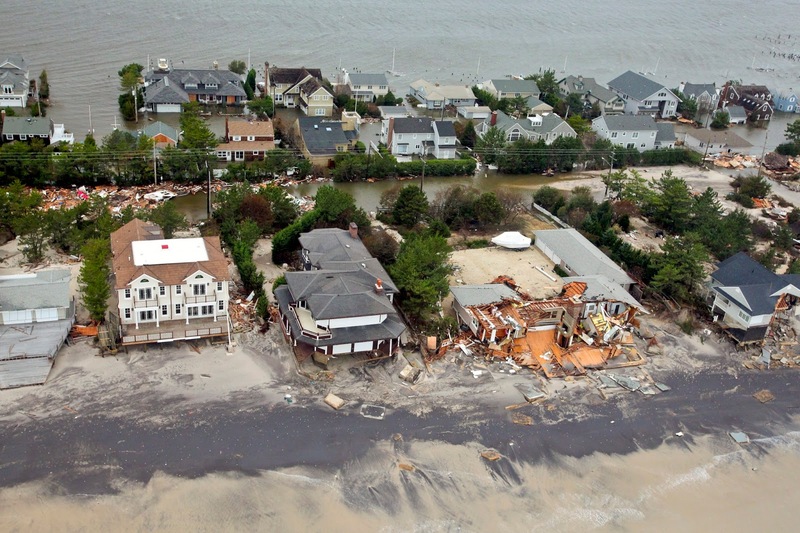 Scott then estimated that close to 71,000 New Yorkers and 30,551 more homes flooded during Superstorm Sandy because of sea level rise caused by climate change. During this recent flood, Meramec River at Arnold, Mo, not far from where I live, crested at more than 47 feet. This was a new record, breaking the old record high by 2 feet. Nearby Valley Park, MO crushed the previous record its Meramec River flood level from December 6, 1982 by about 4.4 feet. Eureka, Missouri crushed the previous Meramec record flood level from December 6, 1982 by just over 3 feet. As I heard these stats and recalled Superstorm Sandy, I thought: how many more houses and residents were impacted by this flood because of more intense rain due to climate change? December 30th just happened to be a big day for my family. Weeks earlier, my Mom & Dad invited my in-laws (my wife Tanya’s mother, father, and brother) and Tanya and I over for a holiday dinner. Just three days before, Tanya and I had finally received our official photos from our November 1st wedding. We were eager to show them to my parents. All of us looked forward to recalling over dinner how much fun all of us had planning and celebrating the wedding in 2015. My mother wanted me to come home from my in-laws early in the afternoon to help her clean and prepare for the dinner. I left my in-laws around 2 pm. It is normally a 30 minute drive from my in-laws to my parents house. Because I-44 was closed west of St. Louis as well as other state highway and local highway bridges due to the flood, drivers scrambled to find alternative routes to travel thru and leave the city. Traffic was a crawl on I-270. It took me over an hour and fifteen minutes to get home. Once I reached home, I called my mother-in-law, Nancy to suggest an alternative route of surface streets, not I-270, to get to my parents’ house that evening to avoid that traffic. She took my advice. My in-laws and wife all met up to carpool together in West County around 5:30 pm. The plan was for them to arrive around 6 pm. My in-laws and Tanya did not arrive until after 7 pm. A normal 30 minute drive from my in-laws to my parents house took nearly one hour and a half. The gridlock from traffic due to the flooding made it very difficult for traffic to move through and around St. Louis. Tanya called me several times to tell me how the traffic was moving at a snail’s pace. The very long delay in their arrival for dinner had me feeling concerned. I knew my in-laws and wife would make it to my parents house fine. However, the long traffic tie ups had me very worried about climate change. The flood waters had not peaked yet. During the Holiday week, a section of I-70 was shut down west of St. Louis in St. Charles CO for a couple of days. 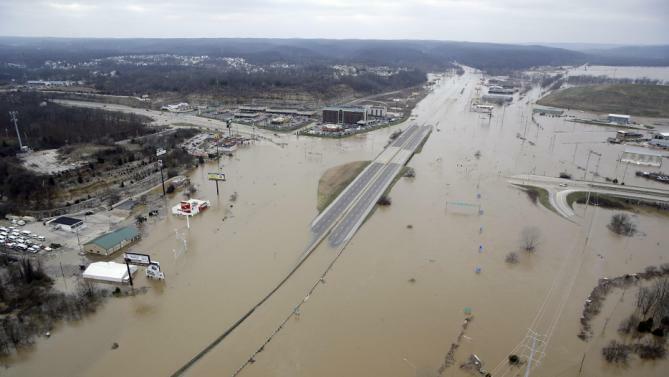 Floodwaters from the Meramec River forced the shutdown of I-44 for a 24-mile stretch for several days. Even more, flooding from the Meramec forced closure of a 3-mile stretch of I-55 south of St. Louis, tying up traffic for commuters and travelers on the eve of the new year. 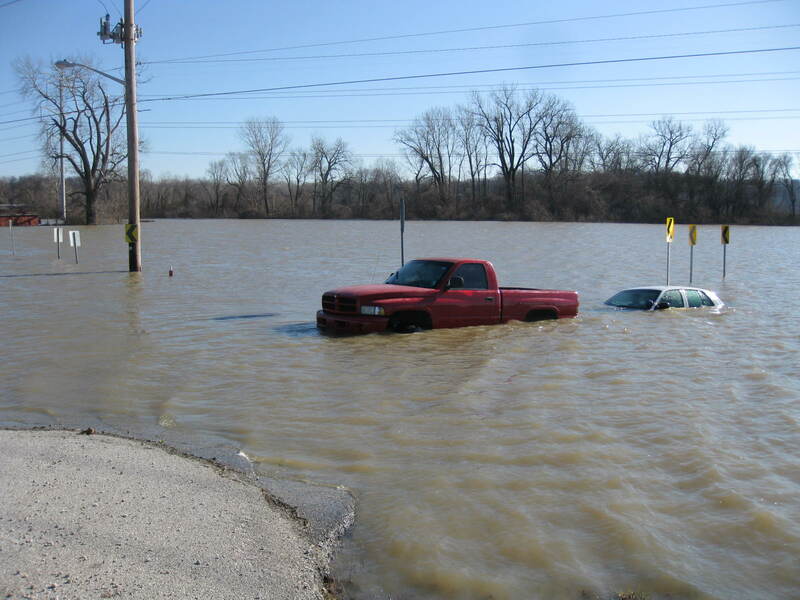 Around 180 roads in Missouri were closed during the peak of the flooding. That day, my college friend, Brent Isaacs, was traveling through St. Louis from his home in Tulsa, OK to visit friends and family in Indianapolis, IN. I called Brent that day to warn him to have alternative routes ready, since a long stretch of I-44 was closed. All of these traffic closures had me concerned. When was it going to end? Probably within a couple of days. What if it doesn’t? We would be screwed in St. Louis. We rely upon these interstate highways to delivery food to our grocery stores and gasoline to our gas stations. Furthermore, our railroad tracks, which parallels the flooded rivers, delivers the coal on trains for our power plants. St. Louis currently gets up to 84% of its electricity from coal. We are dry, mostly, and doing okay. The basement was flooded during the initial 3 day rain event due to a failed sump pump and a couple of downspouts that came unattached from the drain pipes during the heavy downfall. We fixed the drain spouts and had a new sump pump installed on Sunday and that stopped any more water from coming in. We are fortunate that we returned home on Saturday instead of Sunday or the water would have been much higher. Unfortunately it doesn’t take much water to ruin carpet pads and drywall. We were able to get the carpets up and the pads out the back of the house without too much trouble. There are now 14 high powered and very noisy blowers and a super-sized dehumidifier running non-stop in the basement at a cost of $30 per day per machine (disaster capitalism is quite profitable). We are really hoping everything will be dried out by tomorrow as the noise from the basement can make television watching and conversation difficult. We have learned a painful and expensive lesson about not having a sump pump rider on our home insurance. The rider would have covered damages from the failed pump. We also would have been covered if our dishwasher had overflowed but not from ground water. Fortunately we didn’t have any content damage so the only costs will be drying the place out and installing new pads under the salvaged carpets. Kellie thinks she is getting some new furniture out of the deal. I have no idea how less fortunate folks that have far more damage are going to get through this financially. Downtown Eureka is a true disaster. The sand bagging effort was futile against the record water levels as most of the businesses downtown have water over their front doors. Our favorite Irish pub will be out of commission for a long time so now we have to go across the freeway to have a beer from the tap. We have now had two 500 year floods in the last 20 years. The increasing frequency of these “500 year” (or more) type events really brings home what James Hansen wrote about in “Storms of my Grandchildren”. I’m pretty sure these frequency estimates will be a meaningless descriptor in the future. It will be interesting to see what the spring brings as the climate change fueled El Nino really kicks in. All the roads out of Eureka are closed except for one and that one is a parking lot most of the time. Many subdivisions have been isolated for a couple days now. The river crested this evening around 6 so we should see water levels, and media coverage, receding starting tomorrow. We are looking forward to returning to some type of normalcy, and increased action on climate change, for the new year. My in-laws, my wife, and I may have been inconvenienced by the snarled traffic from the floods. However, our situation was so minor compared to what Larry and so many others in St. Louis. I still cannot imagine losing my home, business or loved one to that flood. 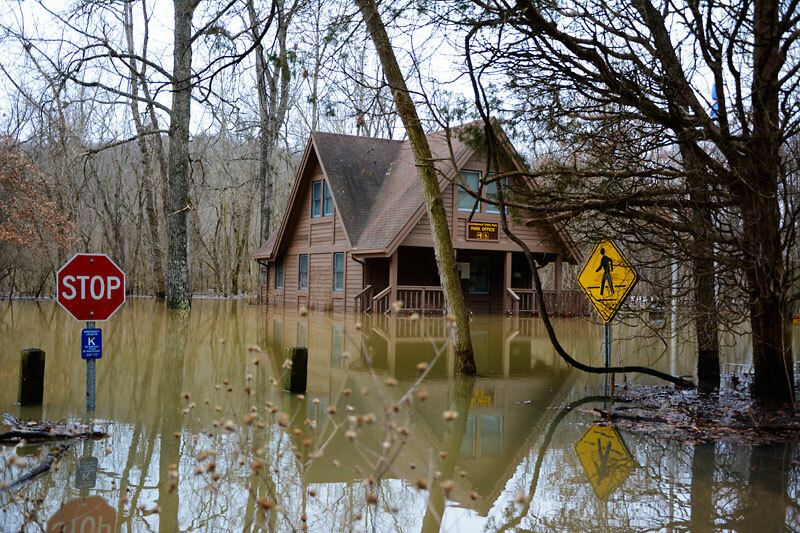 The news reported that 24 people lost their lives in this 2015 Missouri flood. On New Year’s Eve, December 31st, my wife, Tanya had the day off from work. Whenever we have spare time, Tanya and I love to go on long walks in nearby St. Louis area parks. Unfortunately, the most scenic and walkable St. Louis county parks are along bluffs and river plains. Almost all of our favorite parks, such as Castlewood State Park, where I proposed to Tanya just one year earlier, were buried under flood waters. One park that was high enough to avoid the floods was Bee Tree Park in south St. Louis County. It will always have a special place in my heart since I had been going there since I was a child. I have vivid memories going there as a child on family outings, church picnics, high school band picnics, one of my first high school dates, etc. The good news was that it was open. The bad news was that traffic was a slow crawl to go there since it was the alternative route across the Meramec River since I-55 was closed. Tanya and I drove around Oakville, the area where I grew up and went to high school to see the flooding. 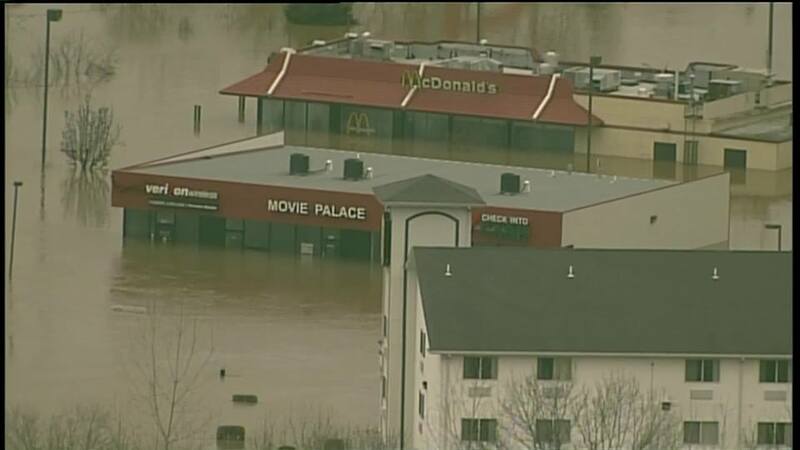 I remember lots of other floods in Oakville, but none of the previous ones were that high. On New Year’s Day, Tanya and I wanted to spend the morning walking the path around Creve Coeur Lake County Park. As we drove towards it, Mother Nature basically told us, “No! You ain’t hiking there!” The lake lies in the Missouri River flood plain. The roads were closed and underwater for miles around it. Tanya and I did find a way to drive to the bluffs overlooking the lake. It was stunning to see the path, parking lot and access road by it buried underwater and the lake swelled way above its normal shoreline. Tanya and I did enjoy our hike above the bluffs. However, it took much creativity and flexibility to fulfill our exercise walk. This tiny taste of what climate change could like with the MO flooding with just traffic disruption certainly motivated me to step up my actions on climate change for 2016 and beyond. Thank goodness the rivers slowly returned to their banks during the month of January. Except for the flood victims, life is returning to normal in the St. Louis area. Three weeks have now pasted since those menacing floods. One thought continues to annoy me. On Facebook, I regularly see people accept climate science, yet they are so pessimistic about climate change. It annoys me when they feel like there is nothing we can do to limit the worst aspects of global warming. Even more, they don’t trust the government, Republicans, elected officials or humanity to take action in time to reduce the threat. 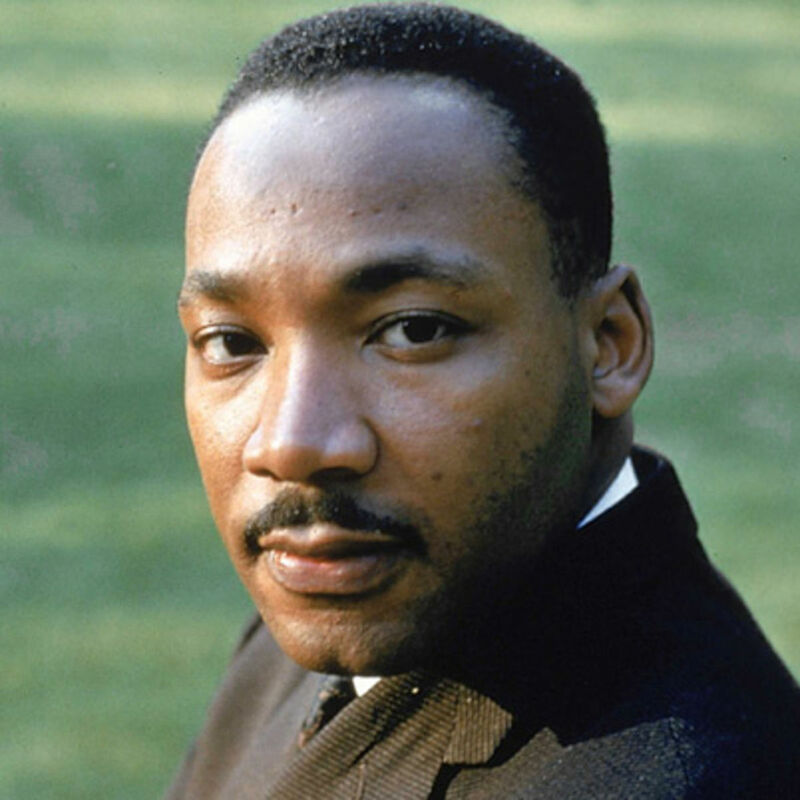 To me, I think that is nothing more than a cope out and excuse to not take action. Future generations will judge us harshly if we hide behind excuses such as, ‘It was too hard so I gave up!’ ‘I did not think the government, politics, or people were going to change.’ ‘I did not know what to do.’ ‘I did not like the solutions that were proposed.’ ‘The fossil fuel industry was too strong.’ etc. Now is the time to take action. Getting a taste of climate change with the recent floods and gridlocked traffic did really scare me. There are millions of actions you can take to reduce the threat. You can join groups like Citizens’ Climate Lobby, 350.org, Beyond Coal, Avaaz.org, Climatemobilization.org, and others who are making a difference. You can do what you can to be energy efficient. 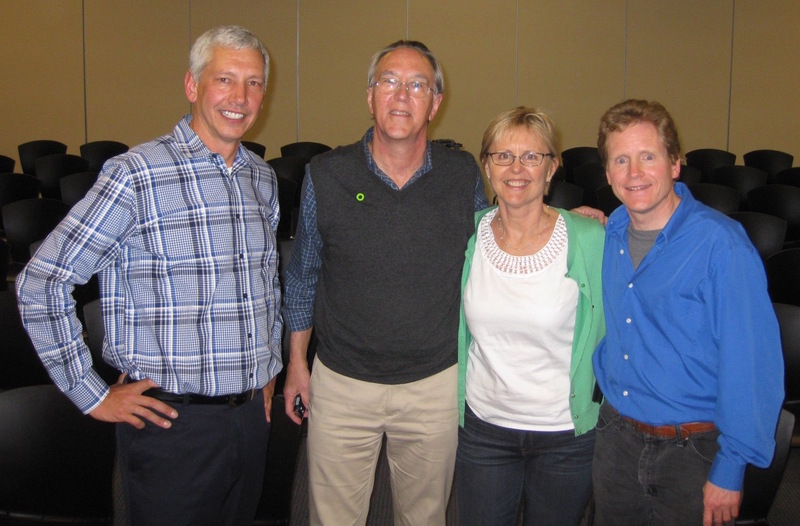 As I have said for years in my speeches, It is Easy to be Green. We simply cannot afford to see floods worse than I just experienced living in the St. Louis area during the 2015 Holiday Season. This entry was posted in Uncategorized on January 19, 2016 by bettling. Life Sustaining Fragile Eco-Sytems ! Pres. Obama an Gov. Jerry Brown Ban Fracking !